I hope you are all having a beautiful day. The yellow flower inspired me to colour the main flower in yellows-and yes-I used copics! Quite unusual for me but I did enjoy it. I also used the other colours as a base but didn't quite have the right shades.I used the main colours but took the more vibrant take that you see at the challenge this week at Cupcake Inspirations. 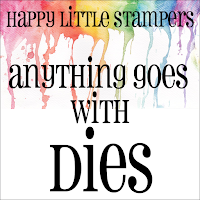 Happy Little Stampers-AG with dies. Absolutely love this! I have to go and check out that sketch! Your coloring looks great and I'm happy you liked it! Copics are fun too, right! ;) The addition of blue looks fantastic. Very beautiful card! This is stunning - I love that split. I love the colours. I hope you don't mind me pinning this for inspiration. For sure I would not grow sick of seeing those beautiful flowers, Sandie!!!! And how wonderfully you have coloured it with your Copics - it looks great, my friend!!!!! I love your CAS design and the font of the sentiment is spot on to go with the style of the flowers!!!! 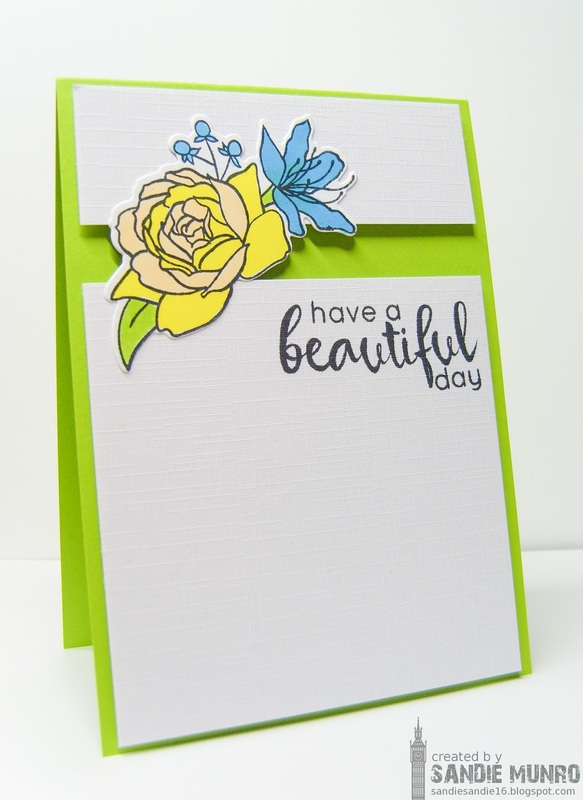 The bright green of the card base is so cheerful and happy and add perfectly to the spring feel of your card!!!! Great card, Sandie!!! This flower stamp is lovely and I think how you cut around it to make the panels is a brilliant idea, very effective and decorative! You've made many beautiful cards while I was enjoying sun on Lanzarote and some family time, I browsed your blog to see what you've been up to. Wow, that card turned out absolutely amazing. I love how you popped it up. And it is such an amazing use of our color challenge this week!!!! 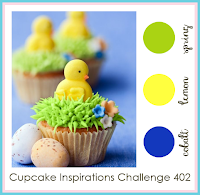 Thank you for joining us for this week's color challenge at Cupcake Inspirations. This is fabulous, Sandie! The clean layout and the color choice are so refreshing! 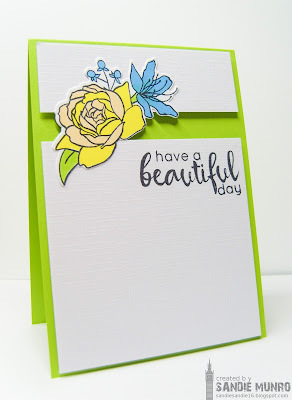 Love the green base and the pop of the beautiful flowers! 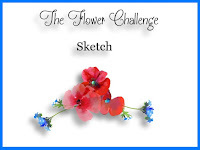 Thank you so much for joining us at The Flower Challenge! This is wonderful Sandie, and congrats on your Flower Challenge win! I just love the card base color - that little horizontal "window" is brilliant. Nice coloring job!!! Do you mind telling me what Altenew set these flowers are from? Your card is so pretty and fun!